Previously used doesn’t mean worn out. We test all of our off-lease and refurbished machines to ensure that they work as good as new. Round Rock Copier doesn’t stop at selling you hardware. We can also provide you with toner supplies for all equipment models, and we offer drop shipping anywhere. In addition to our extensive stock of supplies, we offer comprehensive maintenance service agreements to maximize the uptime of your equipment. Our highly trained and experienced service techs can perform preventative maintenance as well as efficient repairs. 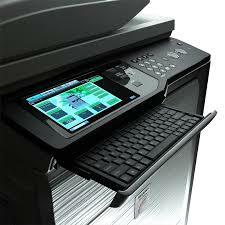 Round Rock Copier also offers brand new devices from Sharp and other leading manufacturers. You can take advantage of advanced printing and scanning technology and innovative, eco-conscious designs. Check out our New page to learn more.